The original OWH Sandy style is to keep the last panel as open space so that our heroes can write a message. 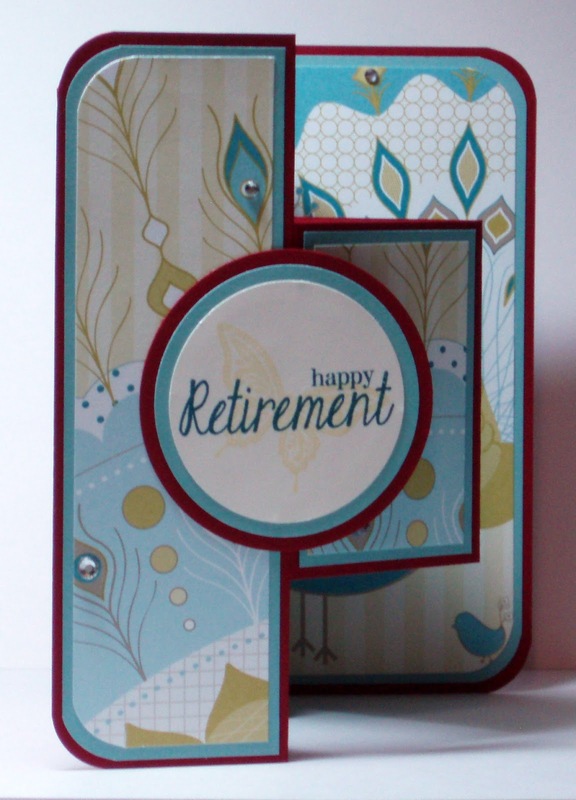 For my card for someone who retires at work, I kept the paper as it is as beautiful. For our heroes, I will save the open space for writing. I will find the link to OWH Sandy Style tri-shutter card and add it here later. Love the layering of the paper. 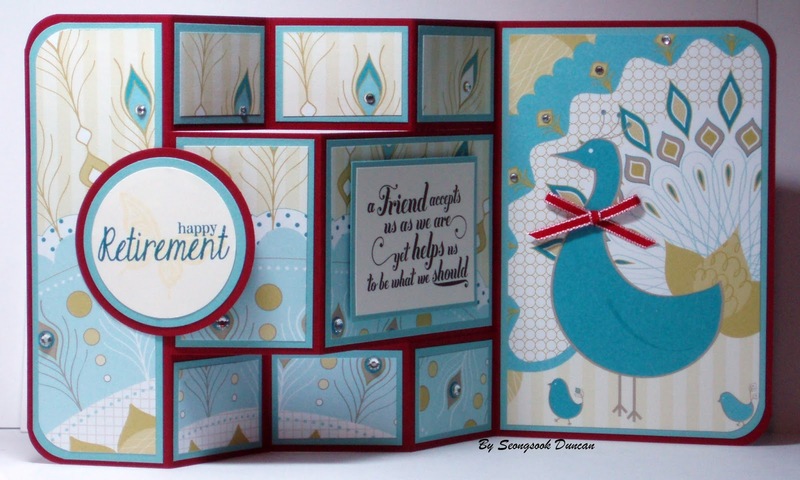 I love the paper that you used to make this card...just beautiful!! This is beautiful. I love the papers, especially the peacock. 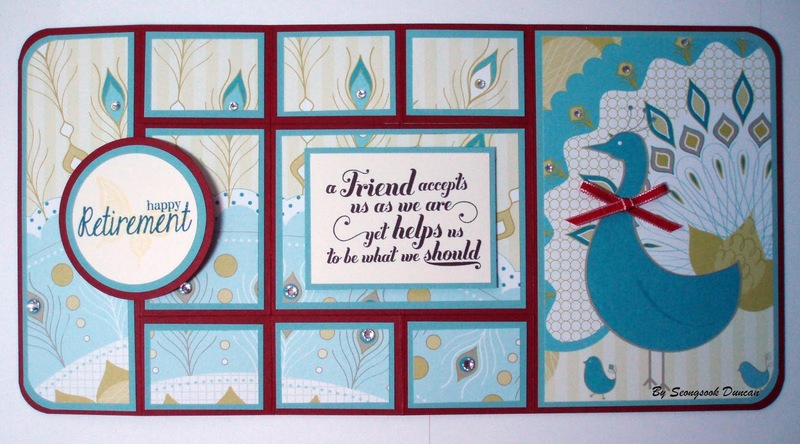 This is such a great idea for the tri shutter card! I would love to know when you find the template! It would be great if I would take time to make it into a SVG file to take all of the work out of it LOL!